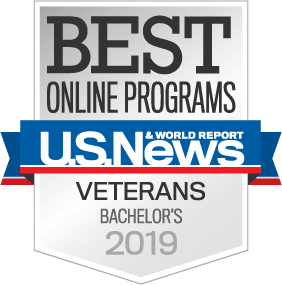 Oregon State University was honored for its commitment to military service members for the fifth year in a row when U.S. News & World Report ranked its online bachelor's degree programs No. 3 in the nation for veterans. Graduates share how they met the challenge of pursuing an education while serving their country. The rankings identify more than 100 programs that provide veterans with high-quality, flexible online bachelor's programs. Oregon State now delivers 25 such programs via the university’s online education division, OSU Ecampus, which has been ranked in the top 10 by U.S. News every year since 2015. To qualify for the veterans rankings, an institution must be certified for the GI Bill, and the online programs must belong to schools participating in the Yellow Ribbon Program or to public institutions that charge in-state tuition for all out-of-state veterans. OSU meets these criteria. The methodology also states that a program must have enrolled a critical mass of students with military backgrounds. Oregon State also ranks third on the overall 2019 Best Online Bachelor's Programs list.